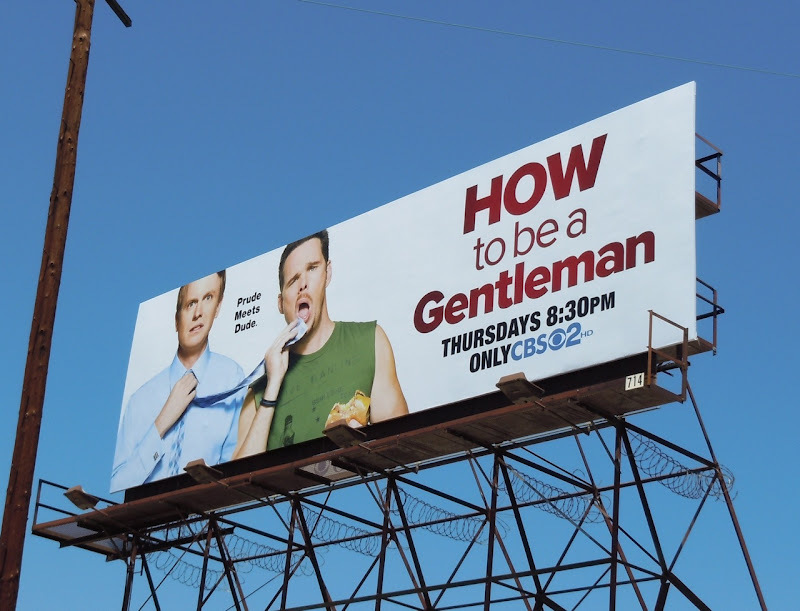 There is life after Entourage for some people by the looks of these billboards for the new comedy, How to be a Gentleman. 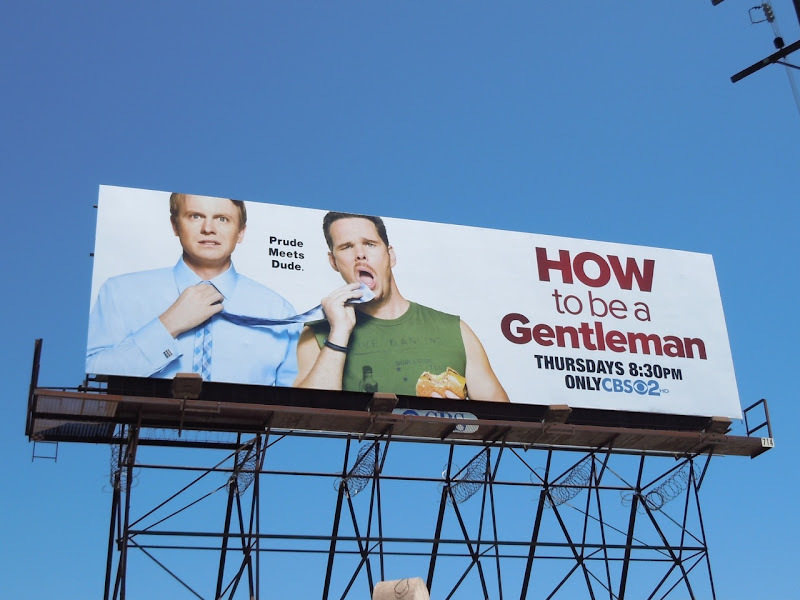 Regardless of whether a film is in the works for the HBO series, Kevin 'Drama' Dillon is trying his luck with a new sitcom which sees him paired with a real gentleman in the form of David Hornsby. 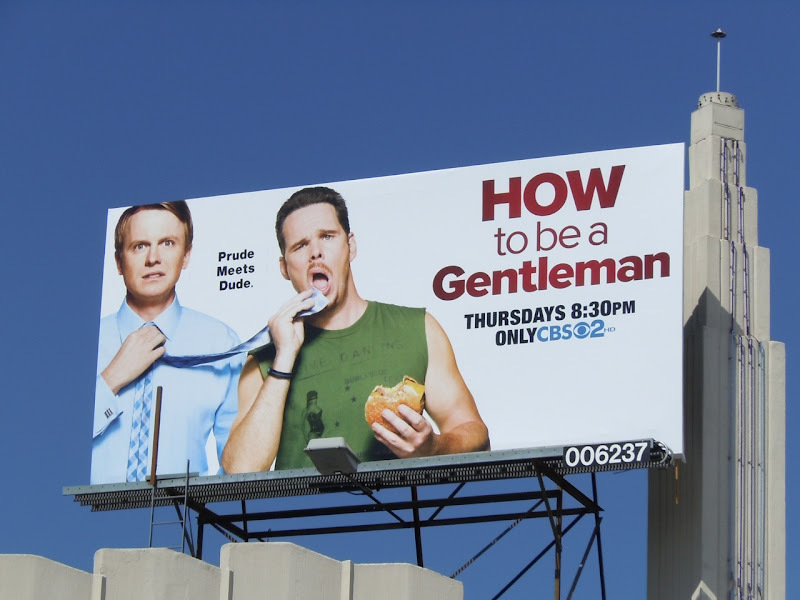 The unlikely coupling of the refined writer and the 'man's man' personal trainer is inspired by the book of the same name by John Bridges. 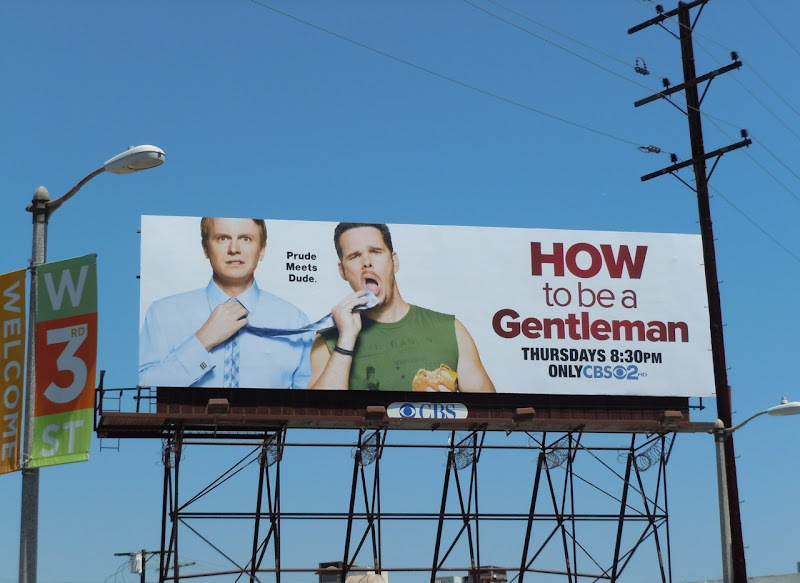 This billboard creative certainly conveys the premise of the new show and was snapped along 3rd Street at South Kilkea Drive and the smaller version along Beverly Boulevard at Fairfax Avenue on August 18, 2011.